Jef Vlegels is a postdoctoral researcher at the Research Unit Data and Policy of the Vrije Universiteit Brussel and Guest Professor at Antwerp University. He has a Master in Sociology and a Master in Quantitative Analysis for the Social Sciences. As a researcher, he specializes in cultural Sociology. As part of his PhD thesis he conducted research on the link between socio-economic status, music taste profiles and social networks. He also published on cultural participation, the importance of cultural education for children and adolescents, the intergenerational transmission of cultural capital, the importance of new media for cultural tastes and participation, and new methods in Social Network Analysis. As a guest professor, he teaches advanced quantitative methods for social sciences students. François Rinschbergh is a researcher in sociology, graduated from UCL (Université Catholique de Louvain) in 2014 and currently member of the CES (Centre d’Etudes Sociologiques of the Université Saint-Louis – Brussels) and Sasha (research center in architecture and social science at the Université Libre de Bruxelles). Since January 2015, he works on a cooperative research (Anticipate project – Innoviris) focused on the Brussels “cultural and creative sector”. Specifically, his job is to understand the socio-spatial logic and the local impacts of this sector through a multi-situated ethnographic perspective focused on the historically working class and immigrant districts of the city. His previous research (internship graduation (2013) and master thesis (2014)) have focused on topics related to social and urban history of Brussels, urban planning, public policy of “revitalization”, their normative principles and social effects. Karel Vanhaesebrouck is a professor and chair of theatre studies at the Université Libre de Bruxelles, where he teaches courses in the MA program “Arts du spectacle vivant”. He acts as a coordinator of the THEA Research Group, a cross-institutional research group facilitating artistic and scientific research within the broad fields of theatre and performance. Karel Vanhaesebrouck also works as a theory lecturer at the Brussel-based film and theatre school RITCS (www.rits.be), the Royal Institute of Theatre, Cinema and Sound of the Erasmus University College, where he directs the theatre department and where he teaches courses in theatre history and cultural history. He published the book-length study Le mythe de l’authenticité (2009) and (co-)edited volumes on David Mamet (Willen jullie in zo’n wereld leven? David Mamet in Vlaanderen en de wereld, with Ronald Geerts and Klaas Tindemans) (VUBPress), on tragedy (Oedipe contemporain? Tragédie, tragique, politique, with Christian Biet and Paul Vanden berghe) (Editions Entretemps), on art and activism (Art and activism in the age of globalization, with Lieven De Cauter and Ruben De Roo) (NAI Publishers, 2011) and on violence in early modern spectacular culture (The Hurt(ful) Body. Pain and suffering in early modern performance and visual arts, with Kornee Van der Haven and Tomas Macsotay, forthcoming with Manchester University Press). Recent book publications include: Kleine Vlaamse Mythologieën (met Jan Baetens, Uitg. Het Balanseer, 2014; French translation forthcoming with La Lettre volée in 2016), Spectacle et justice. Regards croisés sur le système pénal en Belgique. (avec Christine Guillain en Yves Cartuyvels, Lannoo Campus, 2015) en Theater. Een visuele geschiedenis (met Thomas Crombez, Jelle Koopmans, Frank Peeters, Luk Van den Dries, LannooCampus, 2015). Karel Vanhaesebrouck is a member of the “Jonge Academie” (2015-2020). Judith le Maire is an architect from ISACF La Cambre Bruxelles. After achieving a PhD in contemporary architectural history in 2009 in Paris I La Sorbonne, Judith le Maire edited Lieu, bien, lien commun (Editions universitaires Bruxelles) which offer a participative grammar for exploring history of participative process in architecture and urbanism from the end of the XIXth century to 1968. As a member of the Faculté d’Architecture la Cambre Horta de l’ULB, she teaches architectural theory and she gives doctoral seminars about architectural research methodology. She is the promotor of numerous PHD thesis in the Faculty. She has been the head of CLARA- Centre des Laboratoires Associés pour la recherche Architecturale from his foundation in 2011 till 2015. 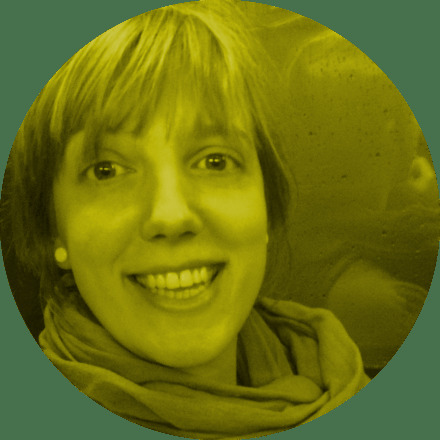 She is the co director of CLARA Architecture/Recherche, an annual edition- supported by FNRS- showing scientific architectural research in and out the Faculté d’Architecture de l’ULB. The dimension of skyline as a visual and cultural identity of the city is the center of her current researches. She is also a promotor in this Cultural and creative industries resarch. Bas van Heur is professor of human geography and director of the Cosmopolis Centre for Urban Research within the Department of Geography. He is also director of the Brussels Centre for Urban Studies, a university-wide centre for urban research that brings together research groups from various disciplines. His main research interest is in the politics of urban development and the analysis of urban development strategies and their effects. Theoretically, this has led to contributions on cultural (political) economy and regulation theory, urban laboratories and experimentation, innovation and the knowledge economy. Empirically, most of his work to date is situated within one of two areas: (i) research on the cultural and creative industries and urban cultural policy; and (ii) research on university-city relations and the role of higher education in urban and regional development. Jean-Louis GENARD est philosophe et docteur en sociologie. Il est professeur ordinaire à la Faculté d’architecture « La Cambre-Horta » de l’Université libre de Bruxelles, dont il est vice-doyen à la recherche. Il dirige le GRAP, groupe de recherche sur l’action publique de l’Université libre de Bruxelles. Il est rédacteur en chef de la revue électronique de l’Association internationale des sociologues de langue française (AISLF), SociologieS. Il a publié de nombreux ouvrages, parmi lesquels Sociologie de l’éthique (L’Harmattan, 1992), La Grammaire de la responsabilité (Cerf, 2000), Les pouvoirs de la culture (Labor, 2001), Enclaves ou la ville privatisée (avec P. Burniat, La Lettre volée, 2003), Qui a peur de l’architecture ? Livre blanc de l’architecture contemporaine en Communauté française de Belgique (avec P. Lhoas, La Lettre Volée, La Cambre, 2004), L’évaluation des politiques publiques au niveau régional (avec S. Jacob et F. Varone, Peter Lang, 2007), Action publique et subjectivité (avec F. Cantelli, LGDJ, 2007), Critical Tools, les instruments de la critique (avec H. Heynen, La Lettre Volée, Nethca, 2012) … ainsi que de très nombreux articles. Il co-dirige la collection Action publique chez Peter Lang, ainsi que la collection Architecture et aménagement du territoire aux éditions de l’ULB. Ses travaux portent principalement sur l’éthique, la responsabilité, les politiques publiques, en particulier les politiques sociales, les politiques de la ville, la culture et les politiques culturelles, l’art et l’architecture ainsi que sur les questions épistémologiques. Prof. dr. Walter Ysebaert is coordinator of the Research Unit Data and Policy of the Vrije Universiteit Brussel (VUB, R&D Department). He holds a bachelor degree in Social Work and a PhD in History. After his postdoctoral fellowships at the FWO-Vlaanderen (National Science Foundation – Flanders), he was successively policy advisor at the Cabinet of the Flemish Minister of Science Policy and Innovation and senior researcher at the R&D Department of the VUB, where he established the Research Unit Data and Policy (2013-). He was/is involved in several other projects, e.g. the ECOOM- project with regard to the development of output and impact indicators for artistic and design research in Flanders, the VRWI-research project on the valorisation of arts and humanities research in Flanders, and the BSI-project funded by the VUB, ULB and USL-B that aims to map the economic and social impact of higher education institutions in Brussels. He was the promotor of the research project for the Brussels Regional Government with regard to the measuring of the economic impact of the Creative Industries in Brussels, and now is co-promotor for the follow-up project. He is also parttime attached to the Faculty of Arts and Humanities of the VUB. Christine Schaut est docteure en sociologie et a un DEA en économie. Elle est chargée de cours à la Faculté d’Architecture la Cambre-Horta de l’ULB et professeure à l’Université Saint-Louis-Bruxelles où elle est membre du Centre d’études sociologiques, de l’Institut de Recherches Interdisciplinaires sur Bruxelles (IRIB) et du conseil de la politique culturelle. A la Faculté d’Architecture de l’ULB elle enseigne l’anthropologie de l’espace et la sociologie des politiques de la ville. Elle coordonne l’option architecture et sciences humaines et, avec Jean-Louis Genard, le centre de recherche Sasha. Elle fait également partie de la Commission Enseignement. Ses thèmes de recherche portent sur l’analyse de la mise à l’épreuve des politiques de la ville par les agents chargés de les mettre en oeuvre et par leurs “bénéficiaires”. Elle s’intéresse plus particulièrement aux politiques préventivo-sécuritaires, aux dispositifs participatifs et au référentiel de la durabilité lequel est actuellement étudié dans un groupe de travail “quartier durable” qui réunit des chercheurs de plusieurs universités (ULB-USLB-UCL), de plusieurs disciplines ainsi que des représentants d’associations urbaines. Ces travaux ont fait l’objet des nombreuses publications. Elle développe une autre thématique de recherche portant sur les conditions d’usages, de réception et de co-production des espaces publics et des architectures contemporains par les groupes sociaux dits précaires et dominés en analysant les compétences qu’ils déploient à user de la ville et à la fabriquer en dépit de l’ordre urbain dominant. Dans une perspective anthropologique elle s’intéresse aussi à l’actualité des frontières dans un contexte de globalisation et de diffusion du modèle urbain. Enfin, à l’USL-B, elle coordonne le master complémentaire en Droit de l’Homme et en résolution pacifique des conflits en partenariat avec l’Université du Burundi.